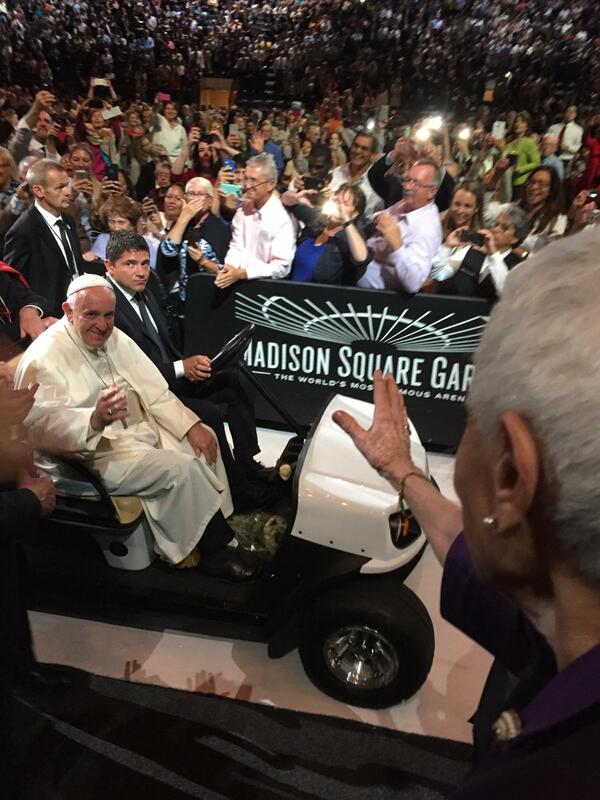 Yesterday my sister, Angela, and I gamely headed with 80,000 others to Central Park to catch a glimpse of Pope Francis. Yikes you might say- but it was a testament to the goodness of the participants and the greatness of New York that the day went off without a hitch! 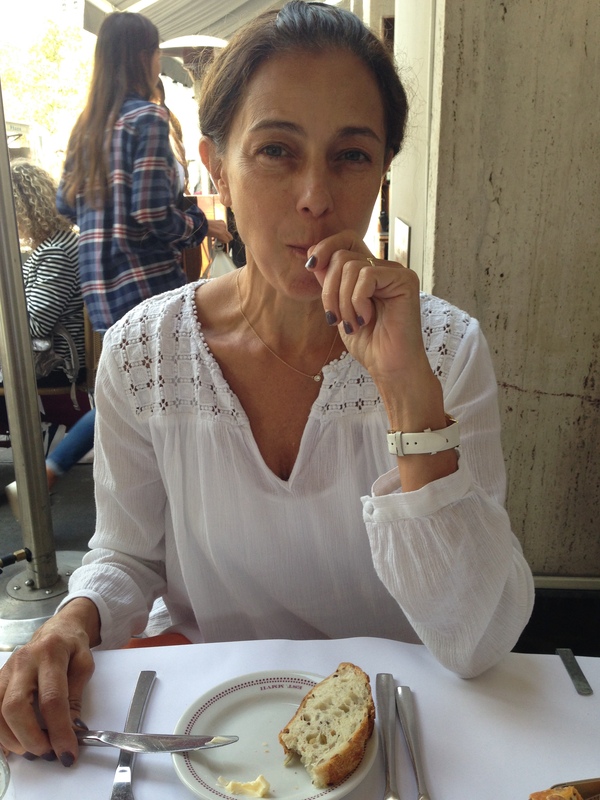 To prepare for the hours of standing, Angela and I had a wonderful lunch at Bar Boulud- food for our bodies while waiting for food for our souls. 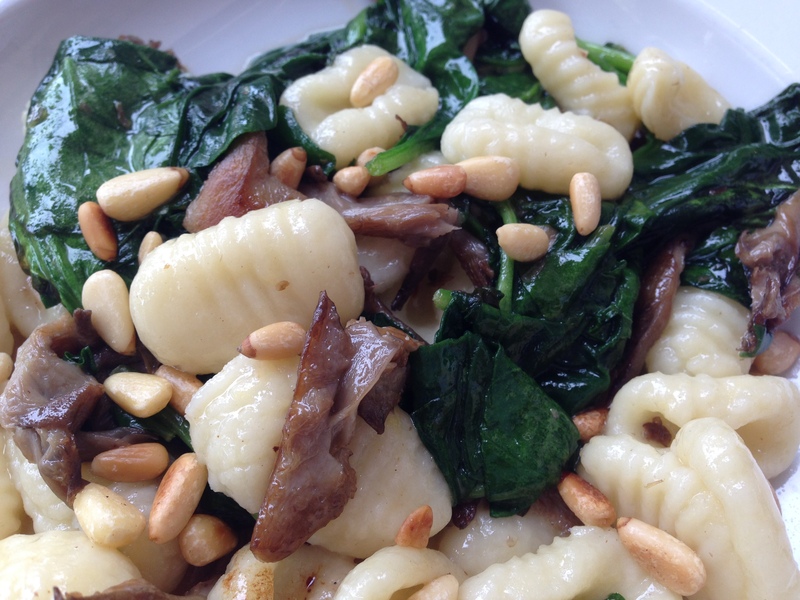 Since I eat mainly vegan, I chose the gnocchi with oyster mushrooms, spinach and pine nuts…absolutely delicious! I can’t wait to try my hand at this at home. 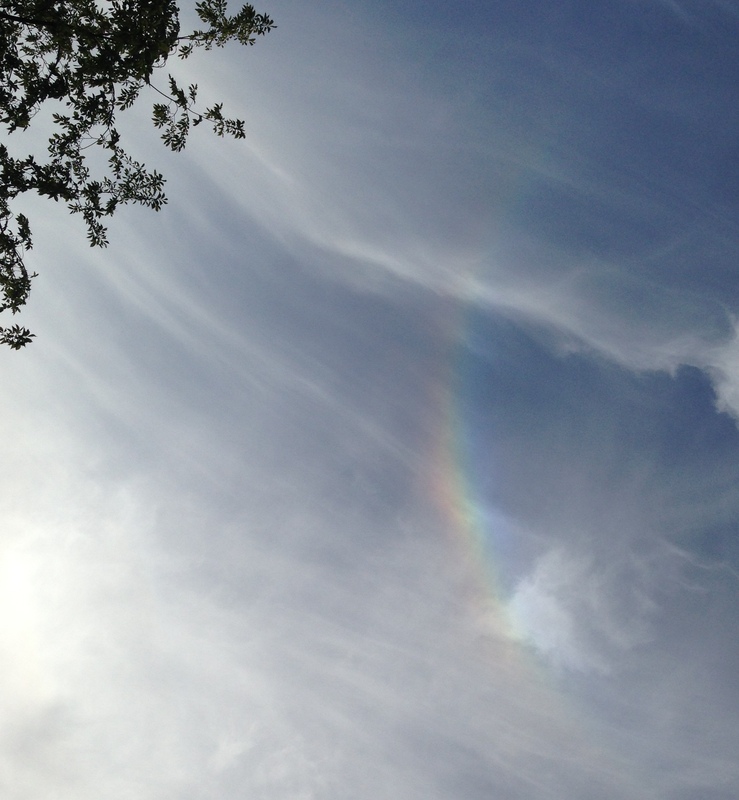 While we weren’t as fortunate as our mother and brother in seeing the Pope up close, we were witness to the rainbow that appeared over us while waiting for the Pope-mobile! A symbol of peace and fraternity- how appropriate for Pope Francis’ visit. Pope Francis smiling at our mom as she blew him a kiss!